Rediff.com » Business » Now, Indian scientists produce petrol from plastic! Now, Indian scientists produce petrol from plastic! A team of scientists at the Indian Institute of Petroleum in Dehra Dun has developed a new technology to convert environmentally-hazardous plastic into petroleum products. After nearly a decade-long experiments, the team of six scientists of IIP led by its Director Madhukar Omkarnath Garg has managed to achieve a breakthrough in developing a 'combination of catalysts' which can convert the plastic either into gasoline or diesel or aromatics along with liquefied petroleum gas as a common byproduct. "We believe it is a big achievement of our scientists to produce petroleum products from waste plastics," IIP spokesman S K Sharma said in Dehra Dun on Wednesday. GAIL, which has sponsored the entire project, is also exploring the economic viability of the project in order to produce the petroleum products on mass-scale, scientists said. "The unique features of the technology is that liquid fuel -- gasoline and diesel -- meets Euro III fuel specifications and different products can be obtained from the same raw material simply by changing the catalysts and operating parameters," Sanat Kumar, a member of the research team, said. 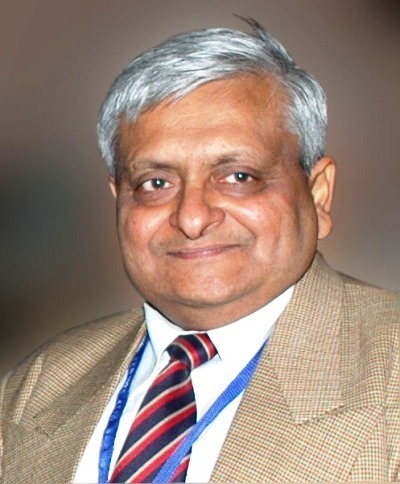 Image: Dr M O Garg, director, the Indian Institute of Petroleum. 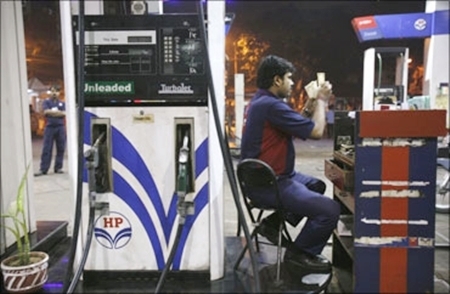 Photographs: Courtesy, Indian Institute of Petroleum website. of the residue is dependent upon the quality of the raw material and can be as low as less than 0.5 per cent in case of clean raw material. "The process is suitable for small as well as large scale industries," said Shrikant Nanoti, another scientist involved in the project. waste plastics, the safe disposal of which has become a world-wide problem, into fuel is possible. 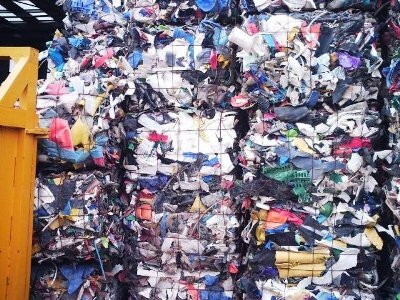 The process involves pyrolysis of waste plastics at high temperatures for breaking molecules and catalytic conversion followed by condensation to liquefy to get gasoline or diesel or aromatics. 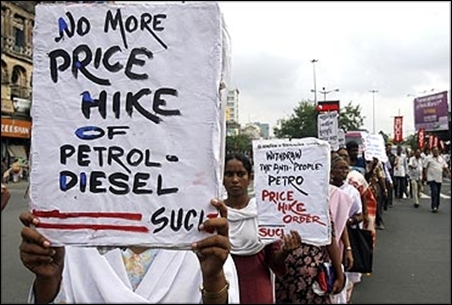 Image: A rally in protest against rise in petro prices. According to an estimate, the world-wide consumption of plastic is over 300 million tonnes and is increasing at a rate of 10-12 per cent annually. 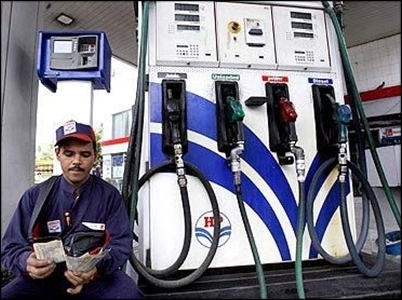 for producing petrol and other products, accounts for 65 to 70 per cent of the total consumption. From one kg raw polyolefinic plastic, 650-700 ml petrol along with LPG or 850 ml diesel along with LPG or 450-500 ml aromatics along with LPG could be produced. How the rasogolla became a global name! The world's biggest shoplifters; India ranks No. 1!